Isopleth Ltd was established by Matt Stoaling, Fellow of the Institute of Air Quality Management and Chartered Environmentalist. 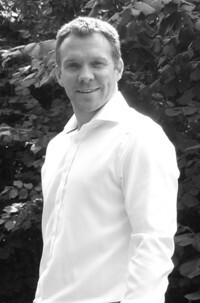 Matt has been an air quality consultant, dust and odour consultant for over 18 years, most recently as UK Technical Discipline Manager of air quality at SLR Consulting Ltd. where he worked for 10 years. Matt has appeared regularly as an expert witness on matters relating to industrial air pollution, transport pollution, dust and odour. • Van Harreveld, A.P & Stoaling, M (2002) Chemicals as odour predictors: what causes the odour deficit? Presented at ‘Odours, what a nuisance’ – Regulation and Quantification of Environmental Odour. CIWEM, 2002.